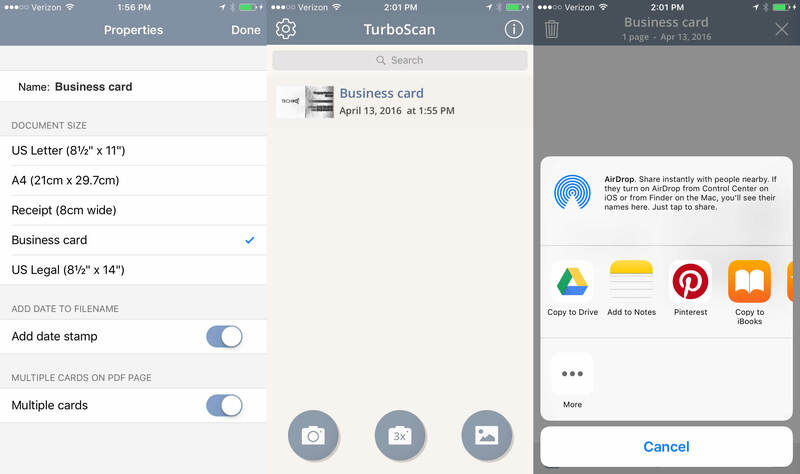 TurboScan turns your iPhone into a full-featured and powerful scanner for documents, receipts, notes, photos, whiteboards, and other text. 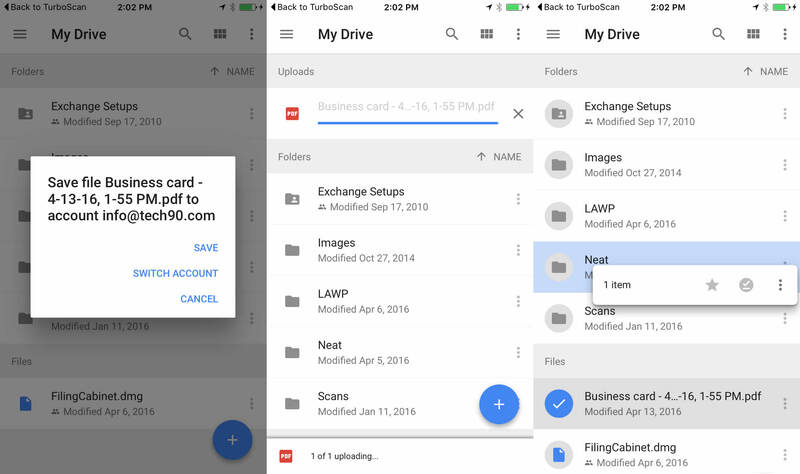 With TurboScan, you can quickly scan your multipage documents in high quality and store or send them as PDFs or JPEGs. I was introduced to TurboScan by one of my clients. 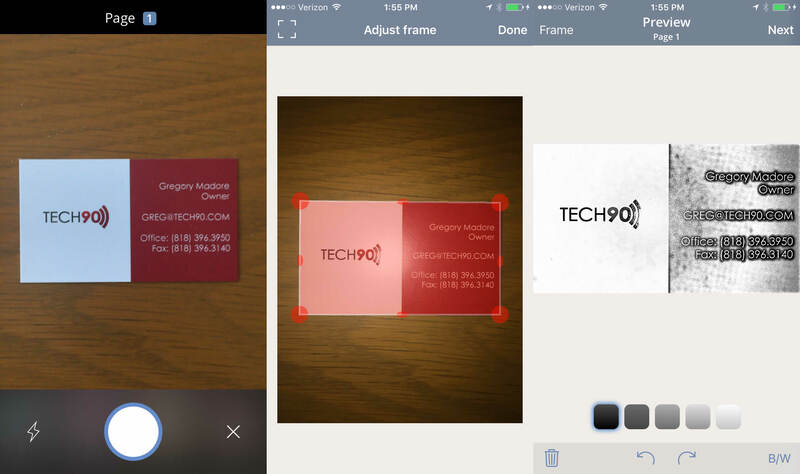 I use it in conjunction with the Neat Receipts application to scan documents and receipts when I am in the field. Thanks to TurboScan's ability to send scanned documents to many of the popular Cloud file sharing tools (Dropbox, Google Drive, etc) after I "scan" the required documents, I use it to send the scanned file to a Google Drive folder which I then have setup to automatically import those files into the Neat application for optical character recognition and organization. It does a fantastic job scanning the content and the files that it generates are handled beautifully by Neat Receipts.